Liquid Telecom has landed some significant new funding for its expansion plans. The Pan-African fiber operator has raised another $150M from the global investment banking community. 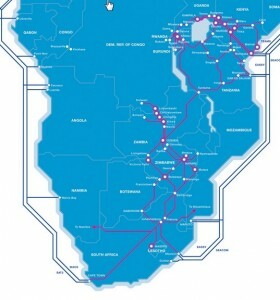 Liquid's network spans 18,000km in eastern and southern Africa from northern Uganda down to Cape Town, adding a terrestrial complement to all that subsea connectivity the continent has received over the past five or six years. The new funds will help them add fiber connectivity in additional countries and continue to expand their FTTH projects in Kenya, Rwanda, Zambia and Zimbabwe. Now, even in Africa, $150M will only go so far. But there are a couple destinations I'm pretty sure Liquid Telecom is aiming at. On the east coast, Malawi and Mozambique would fill things out nicely there, but reaching west into Namibia and Angola seems like the most beneficial target. In a few years, Angola just might get itself a direct link to Brazil and on to Miami, something Liquid will surely be wanting a piece of.